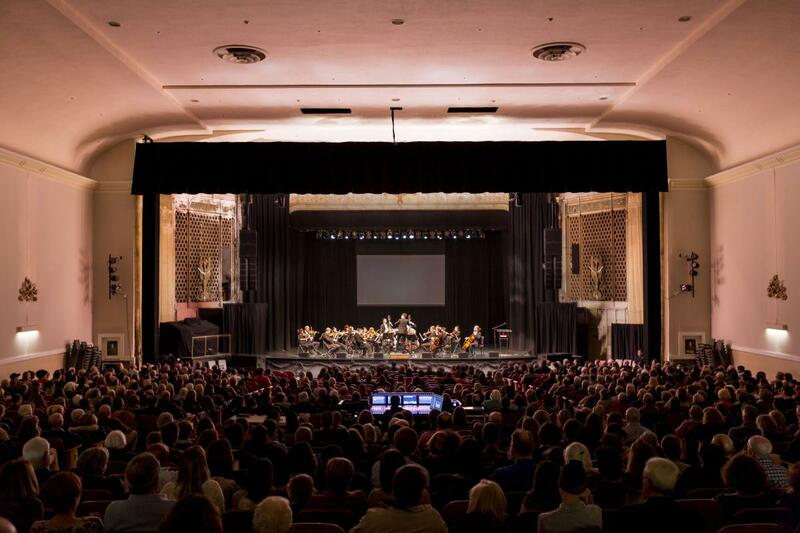 KING OF PRUSSIA, Pa. (March 22, 2019) -- Valley Forge Tourism & Convention Board (VFTCB) and Arts Montco proudly presented musicians of the world-famous Philadelphia Orchestra at the historic Keswick Theatre on Thursday, March 21 for a community concert that showcased Montco’s vibrant arts scene and supported the local arts community. With nearly 1,000 attendees, a portion of proceeds from the concert will be donated to support arts education in four Montgomery County public schools – Eisenhower Science and Technology Leadership Academy and Stewart Middle School, which are both located in Norristown, Perkiomen Valley Middle School East in Collegeville and Upper Moreland Middle School in Hatboro. Prior to The Philadelphia Orchestra’s 90-minute program, guests were welcomed by Montgomery County Commissioners Chair Valerie A. Arkoosh, MD, MPH – who emphasized the importance of the arts in Montgomery County and highlighted Montco’s more than 200 arts attractions, including live music venues, award-winning playhouses, historic movie theaters, unique architecture, museums and art galleries, gardens and arboretums. Under the baton of Philadelphia Orchestra Assistant Conductor Kensho Watanabe, the members of the Orchestra’s chamber ensemble played selections by Grieg, Mozart and Tchaikovsky. 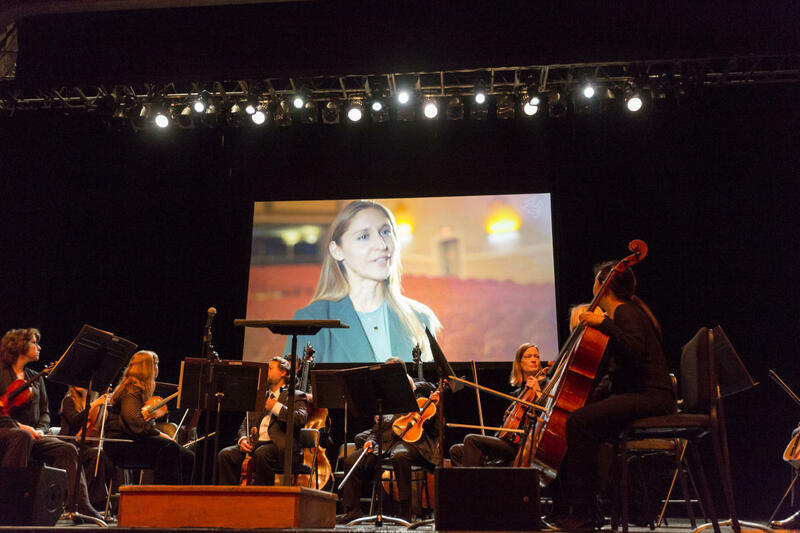 The benefit concert took place during the Orchestra’s “We’re HEAR Week,” which supports the Orchestra’s HEAR initiative, a portfolio of programs that promotes Health, champions music Education, eliminates barriers to Accessing the Orchestra, and maximizes impact through Research. 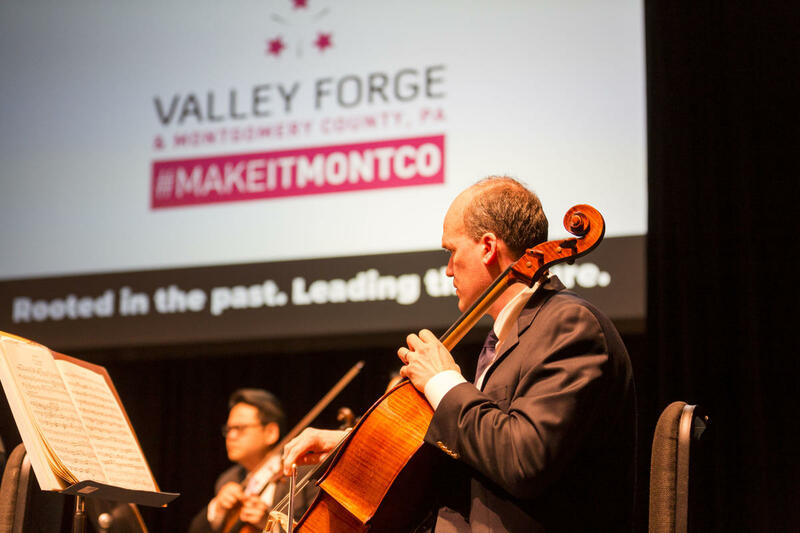 The Philadelphia Orchestra will return to Montgomery County in the summer of 2020 for a major outdoor event. “We believe in the arts, so we are so appreciative of everyone’s passion and support for this event to support music education for future artists to keep that vibrancy alive,” said VFTCB Director of Government & Cultural Affairs, Jessica Willingham. Arts Montco and the VFTCB donated concert proceeds through a partnership with the Montgomery County Intermediate Unit (MCIU) and Musicopia. The MCIU provides services that meet the educational and social service needs of Montgomery County’s 22 public school districts, and Musicopia is a non-profit organization offering educational music enrichment programs in schools and communities throughout the Philadelphia region.